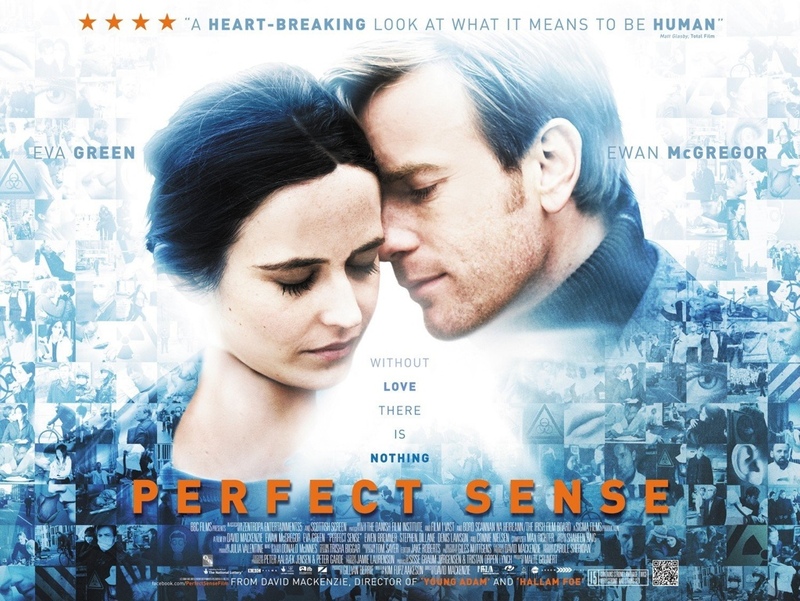 Starring: Ewan McGregor, Eva Green, Ewen Bremner, Stephen Dillane, Denis Lawson, Connie Nielson, Alastair Mackenzie, Richard Mack, Stephen McCole. Director David MacKenzie heads back to the city of Glasgow with Ewan McGregor, after their first collaboration in 2003’s “Young Adam“. That was a gritty and powerful film but here, both of them have excelled themselves, in one of the years most criminally overlooked films. This may be compared (with it’s apocalyptic theme) to the recent Steven Soderbergh, lethal epidemic, film “Contagion“, or more so, Fernando Meirelles’ similar “Blindness” but you’d be doing this film a disservice if you go into it with preconceived ideas based on those lethargic and jaded deliveries. This is a completely immersive human drama that packs some real power and has more in common with one of my favourite films of recent years – Alfonso Cauron’s “Children Of Men“. It has the same stark approach; the authentic feel for the frailty of our society and the same potential demise of humankind. If the end was indeed nigh, you’d expect a bit of chaos and people acting, more than a little, peeved but director Mackenzie and screenwriter Kim Fupz Aakeson never force this issue, allowing the drama to unfold at it’s own pace, with highly effective mood established by the great use of austere Glasgow locations and haunting music by Max Richter. The two leads also help by delivering believable characters with subtlety and McGregor is given a rare chance to show his range – which he delivers admirably. Fine support is also supplied around him, particularly, some slight comic-relief from his “Trainspotting” co-star Ewen Bremner. The film itself, is essentially a love story but it’s a harrowing and heartbreaking one. As the couple are getting in touch with their feelings and exploring their love for each other, they are losing their sensory perceptions one by one. It’s an intriguing premise that builds slowly and Mackenzie’s assured mirroring of the sensory perceptions waning, allow the audience to better understand how it feels, before delivering one of the most powerful and unrelenting endings of the year. An unconventional, thoughtful and ultimately poetic, ‘end of days’ drama that deserves to find a wider audience. In a year of films dealing with the nature of our existence – “The Tree of Life“; “Melancholia” and “Another Earth“, this stands as good as, if not better. Simply magnificent. This entry was posted on February 29, 2012 at 9:04 pm and is filed under Drama, Romance, Science Fiction with tags 2011. You can follow any responses to this entry through the RSS 2.0 feed. You can leave a response, or trackback from your own site. Excellent review, my friend! Watched the trailer a few weeks ago and din’t know what to make of it but I’m very interested in watching this movie after reading what you had to say. Besides, McGregor’s one of my favorite actors. Vastly underrated. Cheers Fernando. I only got round to watching this because it was filmed in my home city. As it wasn’t advertised greatly and I’d heard very little about it, I went in pretty cold. It actually blew me away. A very creative and poetic love story. exactly, even more with only a limited release it will get enough attention just from lip service,seems just a copy from the recent Contagion film but instead was focused mainly on two individuals who gave poetic and powerful performances. Cheers! I thought Contagion was okay but I expected bigger things. This film, for me, delivered those bigger things. One of the years treats will no doubt be missing from people’s Top Ten lists. It definitely makes mine. Great review. I’ve planned to see this since it’s just come out on DVD where I live so I’ll rent it over the week. Thanks, Tyler @ Southern Vision. Cheers Tyler. I hope you enjoy the film as much as I did. I look forward to your review. I’m going to rent this off Love Film as it sounds pretty good and the two main stars are ones I admire a lot. I absolutely loved this, Vinnie. It’s a great concept and very well delivered. Many didn’t take notice when it came out but it’s definitely worth a look. I know I maxed out the stars here but it’s a film I’ll really need to visit again to see if it holds up to such high praise. It did the first time, though. I like how you bring sometimes overlooked movies to my attention Mark. You have a real knack for it. I try to do the same and bring undiscovered gems into the presence of movie fans.